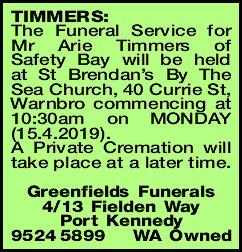 The Funeral Service for Mr Arie Timmers of Safety Bay will be held at St Brendan's By The Sea Church, 40 Currie St, Warnbro commencing at 10:30am on MONDAY (15.4.2019). Dear Jenny, Julian, Pascal and families. 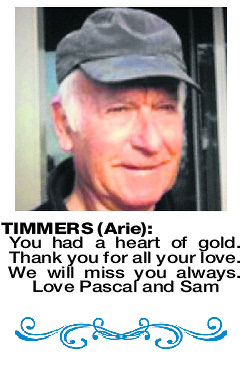 Our deepest condolences with the loss of Arie. We wish you strength for the time that lies ahead of you. Thinking of you all. 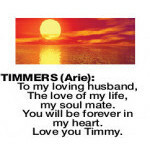 TIMMERS ARIE To my loving husband, The love of my life, my soul mate. 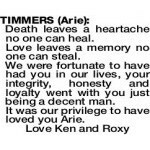 TIMMERS ARIE To my loving Dad, my bestest friend. Words cannot describe how great you are. I have always admired you. 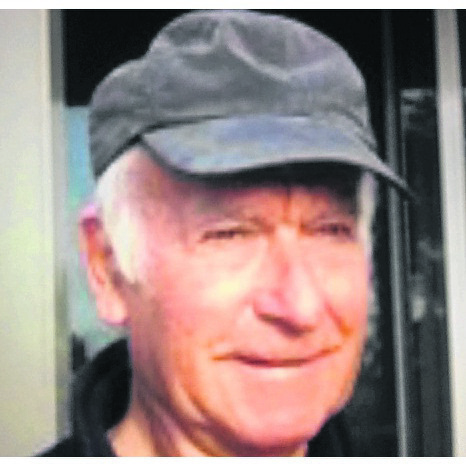 You have also been a great Poppy and Opa to all of the kids. Love Julian and Wendy, Vicki and Ben, Courtney, Danielle, Emma, Renee, Corey. 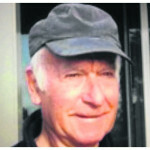 We were fortunate to have had you in our lives, your integrity, honesty and loyalty went with you just being a decent man. 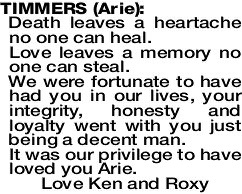 It was our privilege to have loved you Arie.